We are happy to announce our participation at PDA Europe Pharmaceutical Freeze Drying Technology, in Seville, Spain. Check out our Tempris table top – number 12. 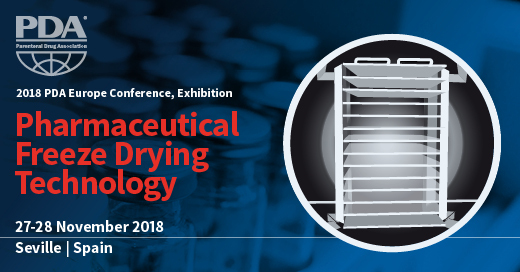 It is not the first time for Tempris team to participate at a PDA Europe event and that is why we can assure you – it is a great opportunity to learn about current and novel concepts of Freeze Drying. Also, it is your chance to get in touch with highly qualified professionals, ask them questions and get answers. “During the last ten years, freeze-drying of biopharmaceuticals has become a routine procedure, yet the freeze-drying process remains complex. This meeting provides updates of various technical and regulatory aspects regarding lyophilization.” – says PDA. The atmosphere of PDA’s events is friendly, yet highly professional. We are looking forward to your visit! Definitely come by to our table top Nr. 12. Contact us for more information or visit the official event’s webpage.